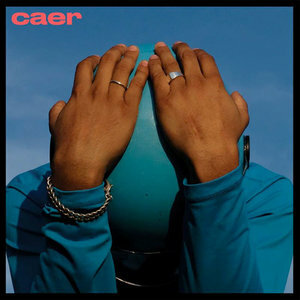 Caer shows definite signs that Twin Shadow is moving in the right direction. However, the album is too often bogged down by cheerless beats, painted in varying shades of beige. On previous album Eclipse, Boston-born indie, electropop artist Twin Shadow, seemed to have painted himself into something of a corner. On an album of polished, 1980s indebted, power ballads that moved from smooth and reflective to excessively bright and cliched, he appeared to have taken his sound as far as he could. Opener "Brace" features a stark riff made up of ethereal single notes from LA-based vocalist Rainsford that, rather unfortunately, sounds a little like Enya being poked with a sharp stick. It's a real shame that Rainsford's voice isn't given more room to mingle as the music blooms, carried by vivid, colorful synths and guitar reverb. Considering the circumstances that the song was written in, what initially seems like a sweet song about falling in love, actually serves as a metaphor for the accident that inspired the album. "Saturdays" is a peppy, pop song that sounds like mid-'80s Springsteen covering Prince. It's a spunky, good-time number lifted by the sugar-coated harmonies of HAIM who make an appearance on the final verse. "Sympathy" sees Rainsford used a little more effectively as Shadow adds smooth cello to fashion a fluid '80s, R&B track. "18 years" is a deceptively carefree song that initially sounds like the ideal song to soundtrack the first fumblings of young love on prom night. However, it soon becomes apparent that it is, in fact, a rather somber song about the confusion and anxiety of nascent adulthood ("18 years/chained to my fears/in too deep/losing sleep"). "Little Woman" continues to edge further into melancholy with Shadow's voice sounding like it may crack at any moment. It tantalizingly hints at a more leftfield direction as the minimalist backing is punctuated by slashes of white noise. Sadly it fails to live up to its early promise, instead reverting to a bland sonic lullaby. It's another frustrating, missed opportunity. "When You're Wrong" is the certifiable crowd-pleasing banger that the album is crying out for. Densely packed beats and a popping bass line chisel out a groove ready to raise the tempo on any tightly packed dance floor. On the other hand, "Too Many Colours" serves as the comedown to "When You're Young's" glassy-eyed enthusiasm. It's a perfectly judged sad disco song, that shows that, when he does get the balance of brilliant, neon synths and downbeat lyrics right, the results can be startling. Elsewhere, "Littlest Things" is a drippy, mid-tempo number that never really gets out of second gear while "Rust" quickly runs out of ideas after a promising start. "Obvious People" veers a little too close to classic Purple Rain era Prince territory without getting anywhere close. On "Bombs away" Shadow wants to show a philosophical and serious edge to the album as he resorts to mirthless spoken word verses on laughably po-faced lines that border on parody ("I don't want to dig these tunnels anymore/ I wanna walk in the path of the sun"). Nevertheless, Shadow's passion and emotional delivery on "Runaway" almost redeems the latter half of the album as he directly addresses the coach crash that threatened to derail his entire career. Caer shows definite signs that Twin Shadow is moving in the right direction. However, the album is too often bogged down by cheerless beats, painted in varying shades of beige. The songs that do catch fire are the ones that don't seem overburdened by a misguided sense of importance, instead given a little more room for the sparkling pop hooks that he has spent his career crafting.